Released by Starkey on August 26, 2018 the Starkey Livio 2400 falls under Starkey`s premium technology level within the Livio family. 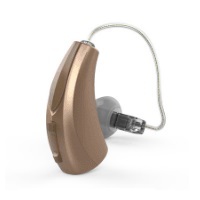 Built on the all-new Thrive platform, Livio provide better sound quality than any other Starkey hearing aid. “Hearing Reality” technology, introduced now for the first time, provides 50% better user satisfaction in noisy listening situations, according to Starkey. As premium technology, this hearing aid is the best technology that Starkey has to offer, making it an excellent choice for individuals with active lifestyles, who need hearing aids that can deliver the most exceptional sound quality in any listening environment. 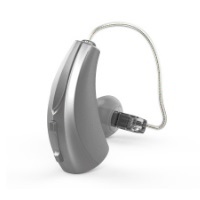 The Starkey Livio 2400 hearing aid has 24 channels and 4 customizable programs, and that gives it the flexibility to digitally process sound in a way that sounds natural, and can also be adapted to the particular listening environment of the wearer. The Livio 2400 is powered by a size 13 battery which will need to be changed every 7-10 days, or a size 312 battery which will need to changed weekly. With a maximum potential gain of 70 SPL, the Livio 2400 is suitable for individuals with mild to severe hearing loss. Available in either a discreet RIC (receiver in canal) form factor, or a traditional BTE (behind the ear) style, the Livio 2400 has a suitable model for anyone not wanting to wear an in-the-ear hearing aid. 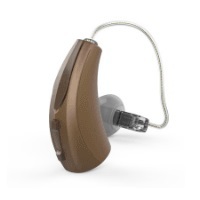 This hearing aid is available in 7 color choices as shown below. If you have questions about the Livio 2400 that you don`t find answered on this page, or are looking for specs on this device, you might want to check out the downloadable documents (below), visit Starkey`s website, or feel free to give us a call at 800-731-6794. Which of the Livio hearing aids include artificial intelligence and the Thrive Brain and Body scores? Only Livio AI 2400 includes artificial intelligence and the Thrive Wellness scores. Other Livio hearing aids are identical to Livio AI, but without these additional features or the onboard sensors that make them possible. The entire Livio line is built on a new processing platform that provides excellent performance and sound quality. Is this hearing aid available with rechargeable batteries? 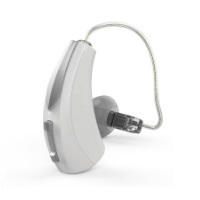 Yes, for a slightly higher price there is now a new rechargeable version of this hearing aid. Is this hearing aid CROS compatible? Yes! 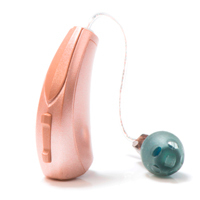 Starkey makes a CROS transmitter that is compatible with this hearing aid which uses a size 312 battery. Can I make hands-free phone calls with Livio hearing aids? In order to make hands-free calls with Livio hearing aids would need to purchase the Remote MIC + accessory (below). This accessory has a microphone on it that would pick up your voice so the caller can hear you without the need to bring the phone to your mouth as you usually would. Starkey Hearing Technologies TV is designed to stream audio from electronic audio sources directly to your 2.4GHz wireless hearing aids. It offers excellent sound quality, is easy to use and supports both analog and digital input sources. The TV device can be successfully connected to many electronic audio sources, including televisions, computers, MP3 players, DVD players and cable boxes. The TV device can concurrently stream audio to an unlimited number of users, allowing them to share the same listening experience. 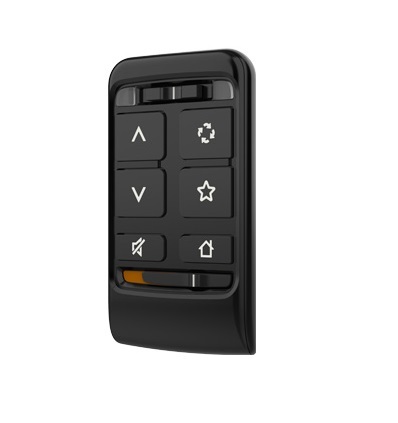 Starkey's Remote includes updated features so patients can control memory and volume, mute their hearing aids and turn other special features on and off. 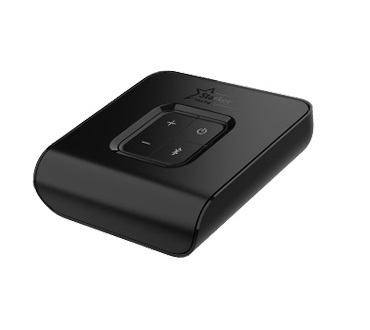 Starkey Hearing Technologies Remote Microphone + is designed to stream audio from different audio sources directly to your 2.4 GHz wireless hearing aids. 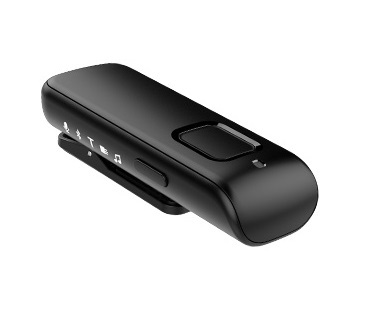 When worn by a distant speaker in noisy environments, the Remote Mic + functions as an assistive listening device. The Remote Mic + can also interface with Bluetooth audio sources for streaming music and hands-free phone calls, loop systems and FM systems. You can stream audio from nearly any device that has a headphone output, since the Remote Microphone + has an audio input jack. 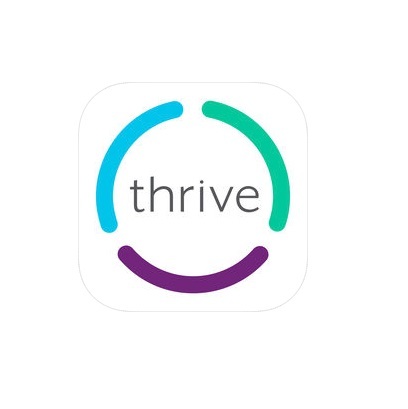 The Thrive Hearing Control app is an innovative app that lets users track their body activity and brain health with sensor-enabled hearing aids. You can set daily health goals and monitor your progress via the what the app calls a Body Score, Brain Score and a combined Thrive Wellness Score. The Body Score is a combination of activity, steps and overall movement. The Brain score includes hours of daily hearing aid use, social engagement, and time spent in active listening. It's designed to reflect the important connection between hearing and cognitive health.Thrive Hearing Control app also offers a wide range of practical features for personalized control of your hearing aids. The app lets you adjust the volume of your hearing aids, switch between listening programs, and make adjustments in different listening situations. You can even use it to request program adjustments from your audiologist or hearing instrument specialist, without taking a trip to the clinic. Even more great features of the Thrive Hearing Control app: Real-time language translation - Help locating lost or misplaced hearing aids - Geo-tagging for location based automatic program changes - Pristine audio streaming of any music or media played through your iOS device - Adaptive Car Mode, designed to automatically reduce annoying sounds to give you a more pleasant driving experience - Control of wireless hearing aid accessories.